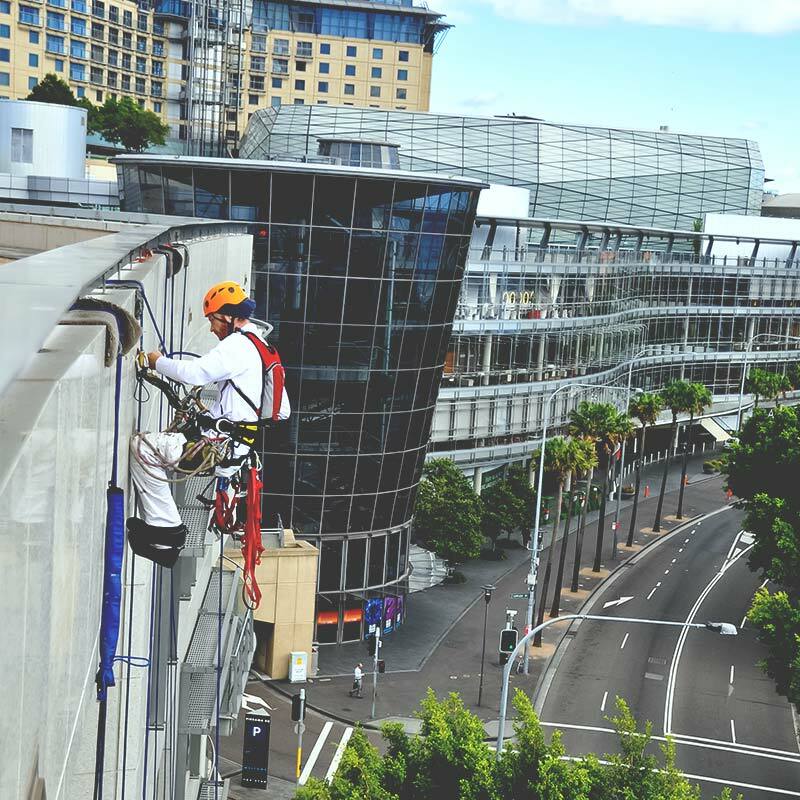 Sky5, was contracted by Mirvac Real Estate, to conduct remedial repairs to the structural steel elements of the northern façade. High profile client and property. High risk works above major public areas. Condition of the existing steelwork. 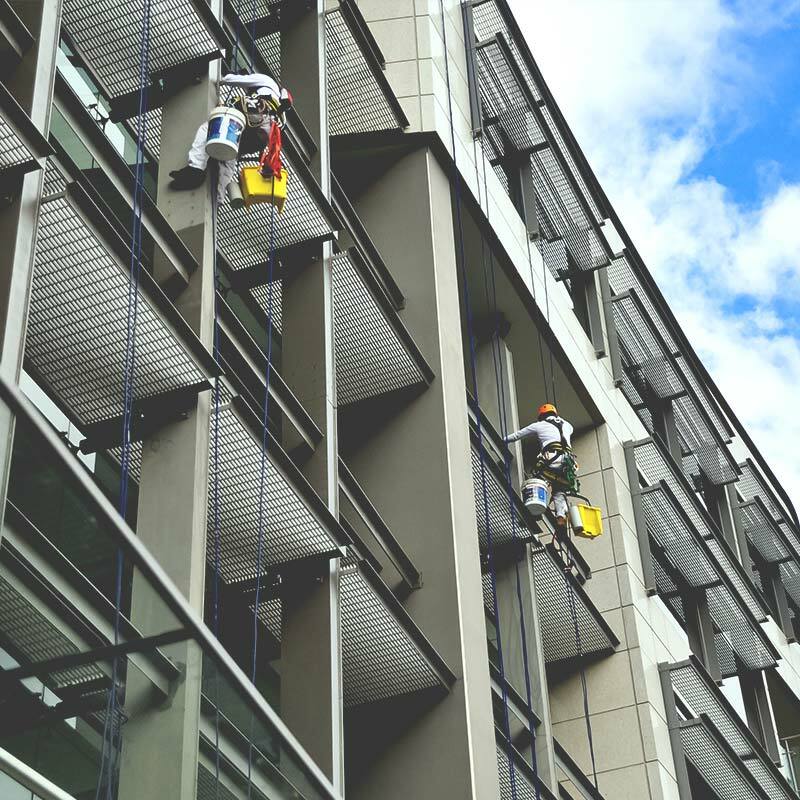 High-level technical requirements to underwrite warranties. Safeguarding stakeholders work site safety standards. 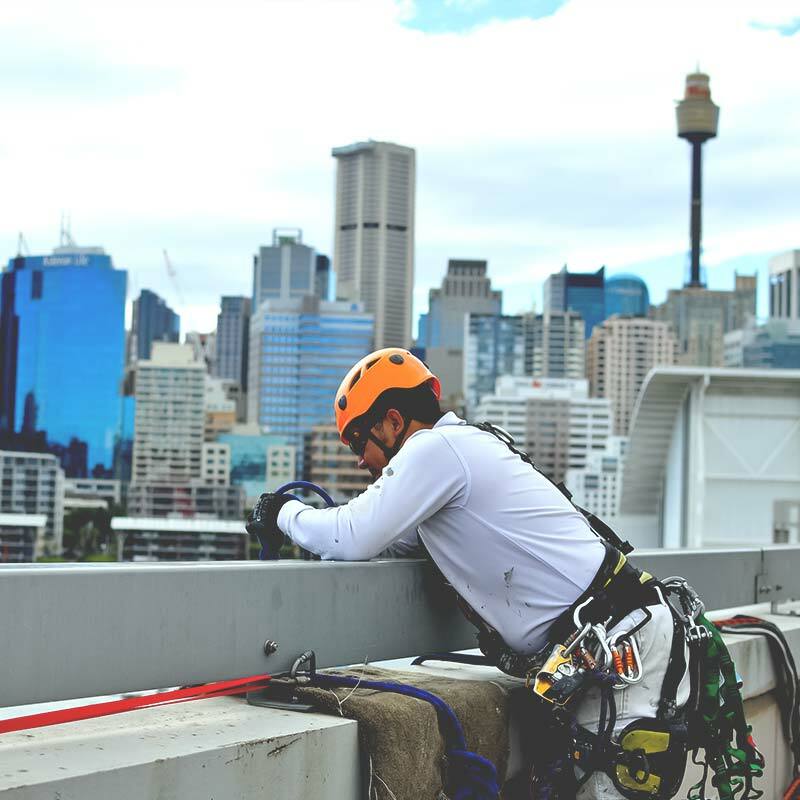 Trade qualified rope access technicians – operating under Licence 230913C. 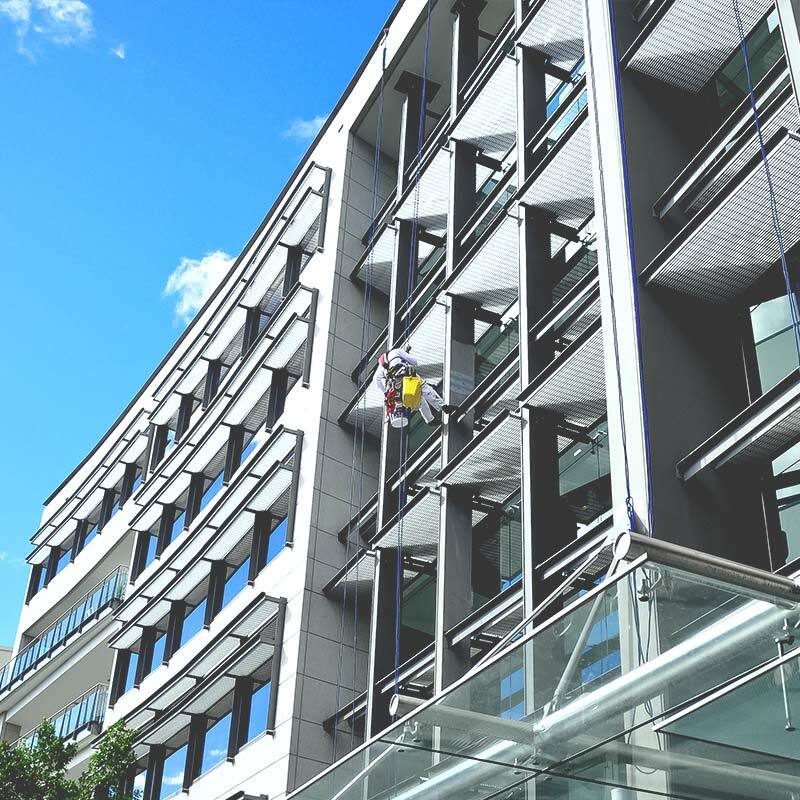 Our Dulux Accreditation – substantiates 10year warranty on paintworks. 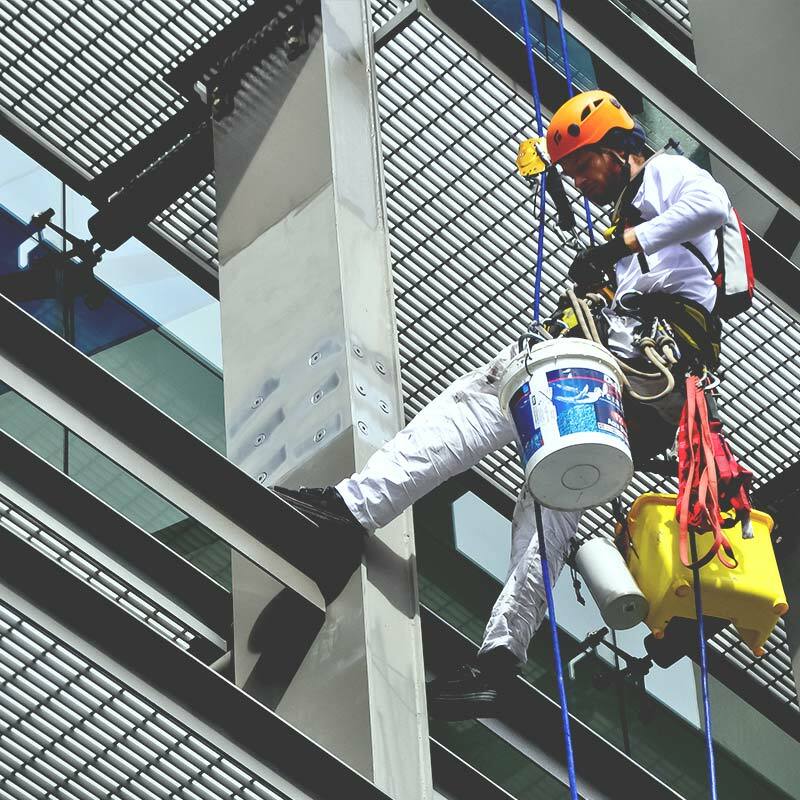 By implementing AS/ NZS 4801:2001 Occupational Health and Safety Management Systems – Requirements guaranteed stakeholder confidence in safety processes and controls. High-level technical specification document preparation and planning. Additional site anchoring solutions were provided to ensure safe access. Implement high-level public safety systems to ensure our work could be carried out with no danger to imminent traffic in the area. 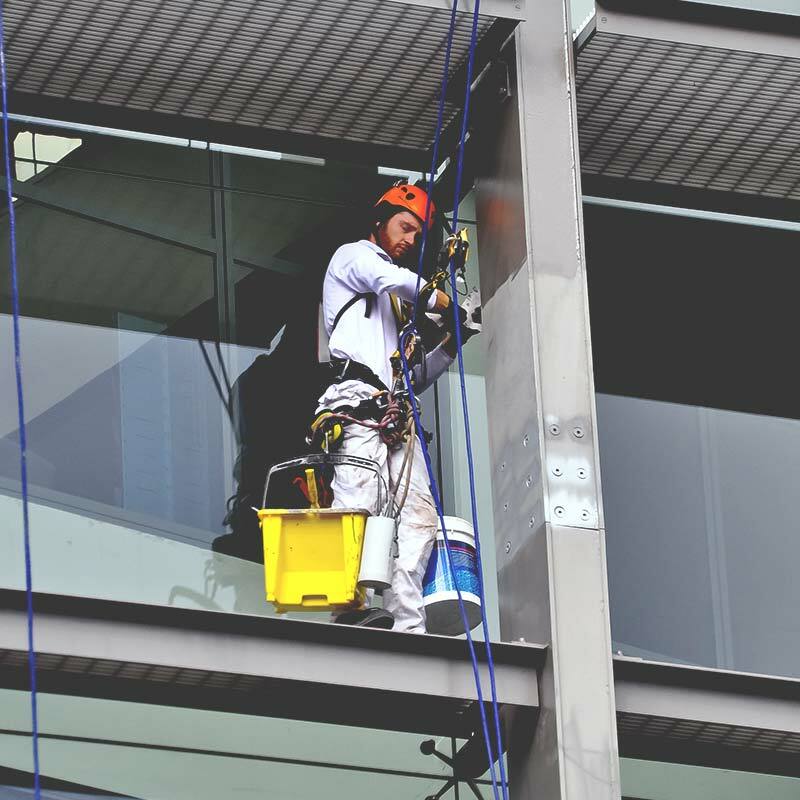 The works required qualified painting and product application competency via rope access.